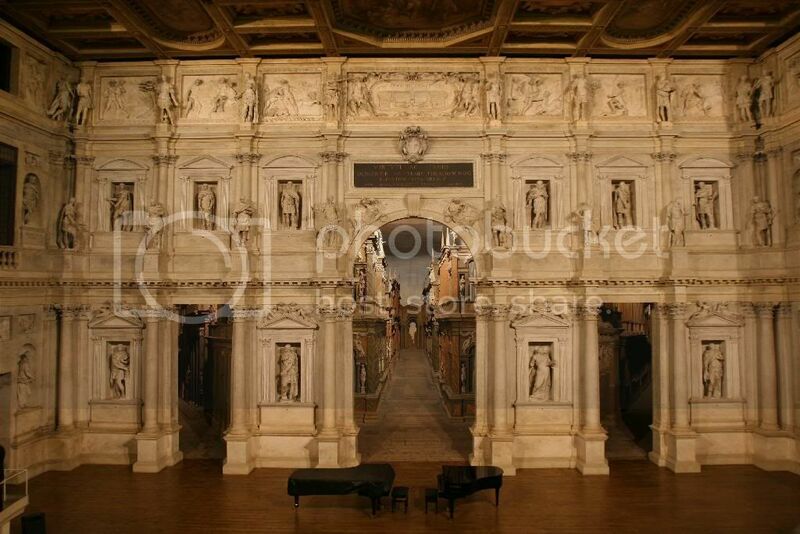 Renaissance Classicist Andrea Palladio's final work, the 1585 Teatro Olimpico is considered to be the world's oldest surviving covered theater. It's still in use. One More Time: BUSH UNDERMINES NATIONAL SECURITY! Bush's War Escalation Is Really Working! And This Really IS Good News! Why Does Bush Hate Our Troops? WMDS Don't Kill, People Do! They Won't Say It. I Will. Salon: VA Knew Of Walter Reed Problems in 2004!